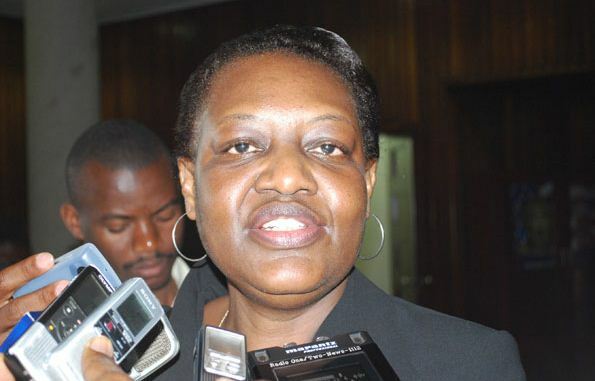 KAMPALA – Inspector General of Government (IGG) Irene Mulyagonja has blocked the proposed partnership between the National Enterprise Corporation (NEC) of the UPDF and Chemperion GmbH, a German drug manufacturing company, citing lack of technical expertise and finances. NEC pharmaceuticals, which is a branch of UPDF, had sought government approval of the project in which it seeks to manufacture drugs in partnership with Chemperion GmbH. But Ms Mulyagonja, in letter dated February 28th to Solicitor General Francis Atoke, said her findings discovered that whereas Chemperion GmbH had indicated that it owns a drug manufacturing plant in Cairo, Egypt and another in Germany, this is not true and that the plants are owned by Sigma & Sigmatech, where Chemperion GmbH has shares. “Investigations established that Chemperion GmbH does not have the technical competence and experience in the manufacture of pharmaceuticals. Chemperion GmbH’s financial capability also could not be established based on the documents availed during the investigations,” Mulyagonga’s letter reads in part. The IGG also pokes holes in the due diligence work done by the NEC team on the foreign, saying they did not do enough to establish whether the company has the financial muscle to handle the project. The IGG investigations indicate whereas the German firm showed the due diligence team a certificate indicating that one Dr Hani William, had deposited $500,000 as financial security for the project, Ms Mulyagonja said the certificate of a deposit in Mr Hani’s bank account cannot be equated to a bank guarantee nor could it be regarded as commitment to invest in the proposed deal. Ms Mulyagonja said Chemperion GmbH, which based in Frankfurt, Germany, is engaged in the field of import and export of chemicals, pharmaceuticals products and foodstuffs but not manufacturing. “The NEC team which carried out due diligence did not obtain the necessary legal company documents that were pertinent to verify the legal existence of the company, implying that the purpose or objective of their due diligence visit was not fully achieved,” she said in her report detailing her findings.